Monograms are crazy popular right now, especially in the crafting world. Everywhere you look it seems like there's a circle monogram on a t-shirt, or an interlocking script monogram on a wedding invitation. It's no coincidence either. People love the personalized look that monograms offer. Ever wonder how people were making these types of designs? Here's how: fonts. 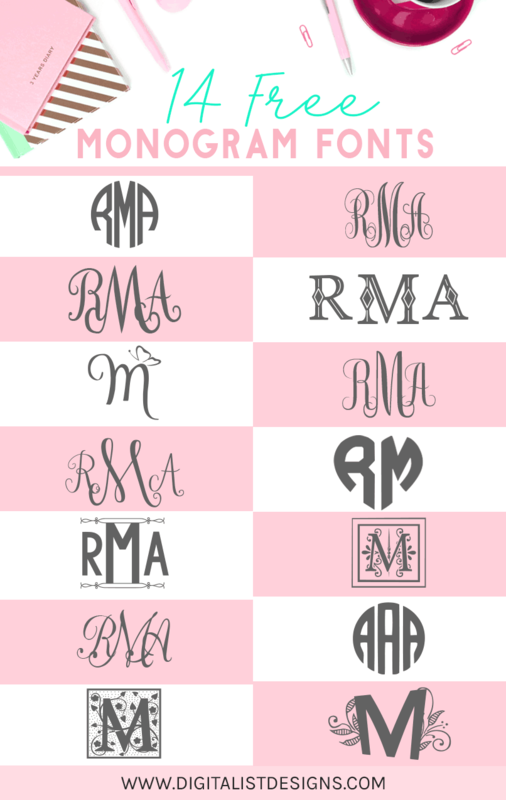 Yes, there are many downloadable free monogram fonts that you can use for a variety of purposes - including cutting out the letters using your Cricut or Silhouette vinyl cutter. Since these monogram fonts are so popular nowadays, I've compiled a list of free popular monogram fonts that would be great for all sorts of diy projects. Personal vs. Commercial License: What's the Difference? Monogramming etiquette is actually kind of complicated, and differs between gender, age, and marital status. The basic rules I listed below are how they are you typically create a monogram, however if you need your monograms to follow all the rules of etiquette, consider doing some research! If the middle initial of your monogram is larger than the others, you would style it: first initial, last initial, middle initial. If the letters are all the same size, you would style it normally: first initial, middle initial, last initial. For a single letter monogram, you use your last initial. Any font can be a monogram font! A lot of script fonts make great monograms.Experiment with different fonts using uppercase and lowercase letters. Use monogram frames! These can really elevate a monogram! You can take these regular monogram fonts and give them your own personal flair. Have fun! Monogrammed items make amazing gifts. They can add a fun, personal touch to literally anything. Notes: Some of these fonts, Lovegramos and the Monogramos in particular, have some quirks. Namely, when you type a letter, it automatically fills in all 2 or 3 spots on the monogram with the same letter. You can see this on the example for the Monogramos font above. To correct this, simply type the letter you wish to use in Photoshop (or another image editor) using the font. Then using the selection tool, select the unwanted letters and delete them. Repeat until you have your left, right, and middle letters (or left and right letters in Lovegramos' case). You can also achieve this in Cricut Design Space using the slice tool. I'll write up a tutorial about using these fonts in Design Space soon. 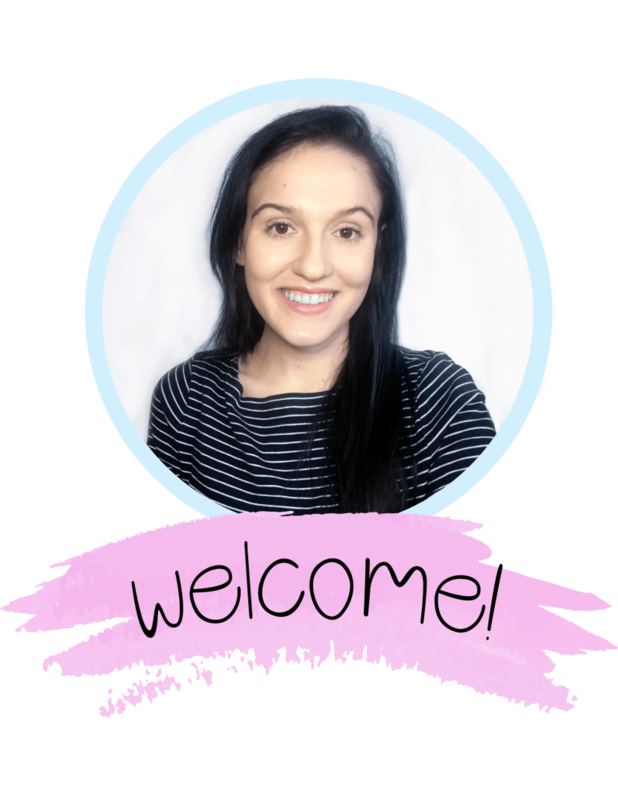 Thanks so much for reading about my favorite monogram fonts! Do you have a favorite monogram style? Let me know in the comments! If you'd like to see more fonts that would make amazing gifts, click here to see my top 12 Christmas Fonts! For more free fonts, you can check out my list of 14 Free Script fonts for commercial use. After you’ve downloaded these free monogram fonts for Cricut and Silhouette, make sure you grab some free svg monogram frames and free printables from my freebies page!